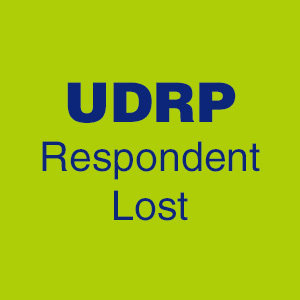 The registrant of the domain Petplans.org wanted to create a memorial/cremation web site for pets, but Pet Plan Ltd. of Surrey, United Kingdom filed a UDRP. Asserting that the domain is infringing on their PETPLAN mark, the Complainant listed a bunch of British trademarks, going back more than 20 years. Meanwhile, Petplans.org was registered in February of 2018. “I have received the information regarding the disputed domain name, and even though I could respond with a defense I am not going to because I have a life!! That seems to have sealed the case, and David Perkins, sole panelist at the WIPO, ordered the domain to be transferred to the Complainant. Complainant is Pet Plan Ltd. of Surrey, United Kingdom of Great Britain and Northern Ireland (“United Kingdom”), represented by CSC Digital Brand Services AB, Sweden. Respondent is Mark Higginbotham of Stockport, United Kingdom. The disputed domain name <petplans.org> is registered with Mesh Digital Limited (the “Registrar”). The Complaint was filed with the WIPO Arbitration and Mediation Center (the “Center”) on May 4, 2018. On May 7, 2018, the Center transmitted by email to the Registrar a request for registrar verification in connection with the disputed domain name. On May 8, 2018, the Registrar transmitted by email to the Center its verification response confirming that Respondent is listed as the registrant and providing the Respondent’s contact details. In accordance with the Rules, paragraphs 2 and 4, the Center formally notified Respondent of the Complaint, and the proceedings commenced on May 11, 2018. In accordance with the Rules, paragraph 5, the due date for Response was May 31, 2018. The Center received informal email communications from Respondent on May 15, 2018, May 25, 2018, June 1, 2018, and June 4, 2018. On June 4, 2018, the Center notified the Parties that the Center will proceed to Panel Appointment. On the same date, the Center received an informal email communication from Respondent. The Center appointed David Perkins as the sole panelist in this matter on June 12, 2018. The Panel finds that it was properly constituted. The Panel has submitted the Statement of Acceptance and Declaration of Impartiality and Independence, as required by the Center to ensure compliance with the Rules, paragraph 7. 4.1.1 Complainant provides pet insurance for domestic and exotic pets both in the United Kingdom and through various licensees in Australia, Brazil, Canada, Germany, the Netherlands, New Zealand and the United States of America (“United States”). It offers insurance for dogs, cats, rabbits, horses, reptiles, birds and small mammals. In addition, it offers insurance to pet care professionals and a pet finding service. The Company was formed in 1976 and is based in Brentford, United Kingdom. It is now a subsidiary of Allianz Insurance Plc, one of the largest general insurers in the United Kingdom and part of the Allianz Global Group, one of the world’s foremost providers of financial services. 4.1.2 The PETPLAN and PET PLAN trademarks: Complainant is the proprietor of the trademarks PETPLAN and PET PLAN registered in various jurisdictions, including territories where its policies are sold. By way of example, annexed to the Complaint are particulars of such registrations in the United Kingdom, the European Union, Canada and the United States. 4.1.3 The PETPLAN domain names: The Complaint exhibits particulars of <petplan.co.uk> created on August 1,1996 by Allianz Insurance plc, Complainant’s parent company and <petplan.com> created by the Complainant on March 11, 1996. The Complaint states that the website to which the <petplan.co.uk> domain name resolves receives almost 400,000 hits per month and the website to which the <petplan.com> domain name resolves an additional 21,000 hits per month. 4.1.4 Complainant states that its PETPLAN products have won numerous awards over the years, including the “Your Dog Best Pet Insurance” and “Your Cat Best Pet Insurance” winner from 2008-2016, World Branding Awards-Brand of the Year 2017-2018 and the Consumer MoneyWise Awards-Most Trusted Pet Insurance Provider in 2017. 4.1.5 In sum, Complaint asserts that PETPLAN is a distinctive and well-known mark which has been used by Complainant for over 20 years. 4.2.1 In the absence of a formal Response, what is known of the Respondent is derived from the Complaint and its Annexes, the party and party correspondence (summarised in part 4.2.4 below) and from the four email communications with the Center listed in paragraph 3 above and summarised in part 4.2.5 below. 4.2.2 The disputed domain name was created on February 14, 2018 and the WhoIs record for that disputed domain name states that Respondent is associated with 24 other domain names. 4.2.4 In Respondent’s email correspondence with Complainant in response to Complainant’s ‘Cease and Desist’ letter dated April 3, 2018, exhibited to the Complaint, he indicates that he acquired the disputed domain name “…to provide ‘pre-paid funeral plans’ for pets” asserting “As you can see this in no way would encroach on Petplan business as they are an insurance provider for veterinary bills.” The Respondent also offered to sell the disputed domain name saying “There is no good reason why I should not be financially compensated for relinquishing what was a legitimate purchase. If it means that much to protect your brand please feel free to make me an offer.” The extracts quoted are taken from Respondent’s emails dated May 1, 2018 which reflect his earlier emails dated April 3 and 13, 2018. In Respondent’s May 25, 2018 email to the Center he attached a Standard Settlement Form indicating that the disputed domain name should be transferred to the Complainant. The Center replied that, since Complainant had not requested a suspension of the proceeding, the proceeding would continue. However, in the light of the attachment to Respondent’s May 25, 2018 email, the Center offered Complainant the opportunity to request a suspension. No such request was made by Complainant. In its reply dated June 4, 2018, the Center said that it would refer the June 1, 2018 email to the Panel when appointed but that, in the absence of a request from Complainant for suspension for settlement purposes, the proceeding would continue. Referring to the WIPO Overview of WIPO Panel Views on Selected UDRP Questions, Third Edition (“WIPO Overview 3.0”), Complainant’s case is that, for the purpose of assessing confusing similarity, the addition of the single letter ‘s’ to its PETPLAN trademark is to be ignored: WIPO Overview 3.0 at section 1.9. In that connection, Complainant also cites the Decision in Pet Plan Ltd. v. Nicholas Plagge/SeniorTours Vacations, WIPO Case No. D2015-1691 where the addition of the letter ‘s’ in the disputed domain name <healthypetsplan.com> was held insufficient to avoid a finding of confusing similarity. Complainant also relies on the WIPO Overview 3.0 at section 1.7 asserting that, since it’s PETPLAN and PET PLAN registrations are clearly recognisable within the disputed domain name, the disputed domain name is confusingly similar to those trademarks. 5.1.2.1 Complainant’s case is that Respondent is not sponsored by or affiliated with it, nor has it otherwise licensed or authorised Respondent to use its PETPLAN/PET PLAN trademarks. Nor is there any evidence of actual use by Respondent: See part 4.2.3 above. It follows, Complainant says, that Respondent cannot claim any actual use or demonstrable preparations to use the disputed domain name in connection with a bona fide offering of goods or services: Paragraph 4(c)(i) of the Policy. In that respect, Complainant cites the Decision in Regeneron Pharmaceuticals, Inc. v. Ron Smith, WIPO Case No. D2017-0219. 5.1.2.2 Nor, Complainant says, is there any evidence that the Respondent has been commonly known by the disputed domain name: Paragraph 4(c)(ii) of the Policy. 5.1.2.3 Furthermore, there is no evidence to support Respondent’s claimed intention to use the disputed domain name to provide pre-paid funeral plans for pets: See, part 4.2.4 above. In any event, such would be close to and likely to cause confusion by affiliation with the services offered by Complainant under its PETPLAN/PET PLAN marks: Paragraph 4(b)(iv) of the Policy. In the circumstances, Complainant submits that Respondent cannot demonstrate rights to or legitimate interests in the disputed domain name under paragraph 4(c)(iii) of the Policy. 5.1.3.1 Complainant says that, given the well-known status and established reputation of its PETPLAN/PET PLAN trademarks, it is inconceivable that Respondent was unaware of those trademarks when registering the disputed domain name. 5.1.3.2 Complainant cites the WIPO Overview 3.0 at section 3.1.4 in support of its assertion that the mere registration of a domain name that is confusingly similar to a well-known trademark such as its PETPLAN trademark by an unaffiliated entity can by itself create a presumption of bad faith. As to the status of that mark, Complainant refers to the material summarised in part 4.1 above. 5.1.3.3 Respondent’s registration of the disputed domain name amounts, Complainant says, to typo squatting and such was designed to take advantage of traffic generated by typing errors. That, Complainant submits, evidences bad faith, citing by way of example the Decision in Accenture Global Services Limited v. VistaPrint Technologies Ltd, WIPO Case No. D2015-1922. 5.1.3.4 Complainant refers to the WIPO Overview 3.0 at section 3.3 in relation to the fact that, although the disputed domain name resolves to an inactive site and is not being used, that is no bar to a finding of bad faith under paragraph 4(a)(iii) of the Policy. In that respect, Complainant cites the Decision in Alitalia-Linee Aeree Italiane S.p.A v. Colour Digital, WIPO Case No. D2000-1260. 5.1.3.5 In sum, Complainant’s case is the facts in this case fall within the paragraph 4(b)(iv) of the Policy because any use of the disputed domain name could not be a fair use and would inevitably mislead and divert consumers. In other words, there is no use of the disputed domain name that could be a legitimate use. 5.1.3.6 Referring to the correspondence between the parties, summarised in part 4.2.4 above, in particular Respondent’s offer to sell the disputed domain name for a sum in excess of his out of pocket expenses directly related to that name, Complainant also asserts bad faith registration under paragraph 4(b)(i) of the Policy and refers in that respect to the WIPO Overview 3.0 at section 3.1.1. Respondent’s response, such as it is, is summarised in part 4.2.4 above. 6.2 Paragraph 4(c) of the Policy sets out circumstances which, in particular but without limitation, if found by the Panel to be proved shall demonstrate the Respondent’s rights or legitimate interests in the disputed domain name in issue. 6.4 As stated, the circumstances set out in paragraphs 4(b) and 4(c) of the Policy are not exclusionary. They are without limitation. That is, the Policy expressly recognizes that other circumstances can be evidence relevant the requirements of paragraphs 4(a)(ii) and 4(a)(iii) of the Policy. 6.5.1 On the basis of the facts summarised in parts 4.1.2 to 4.1.5, Complainant has established rights in the PETPLAN and PET PLAN trademarks as required by paragraph 4(a)(i) of the Policy. They are, in fact, well-known trademarks in the sector of providing pet care insurance. 6.5.2 For the reasons summarised in part 5.1.1 above, the disputed domain name is clearly confusingly similar to those trademarks. Accordingly, Complaint meets the requirements of paragraph 4(a)(i) of the Policy. From the facts and submissions summarised in part 5.1.2 above, it is plain that Respondent cannot demonstrate rights or legitimate interests in the disputed domain name, whether under paragraph 4(c) of the Policy, or otherwise. Complainant’s case is well made out and Complaint succeeds under paragraph 4(a)(ii) of the Policy. Again, Complainant’s case summarised in parts 5.1.3.1 to 5.1.3.6 is well made out. To the case authority cited by Complainant, the Panel would add the Decision in Telstra Corporation Limited v. Nuclear Marshmallows, WIPO Case No. D2000-0003. On balance, the Panel considers that the case summarised in part 5.1.3.6 also succeeds. Given Respondent’s clear offer to transfer the disputed domain name to Complainant, as to which see Respondent’s correspondence with the Center summarised in part 4.2.5 above, it is not clear to the Panel why Complainant did not request a suspension of this proceeding to facilitate settlement. However, Complainant chose not to respond to the Standard Settlement Form submitted by Respondent and, consequently, the proceeding has quite properly been continued: WIPO Overview 3.0 at section 4.8. For the foregoing reasons, in accordance with paragraphs 4(i) of the Policy and 15 of the Rules, the Panel Orders that the disputed domain name <petplans.org> be transferred to the Complainant.